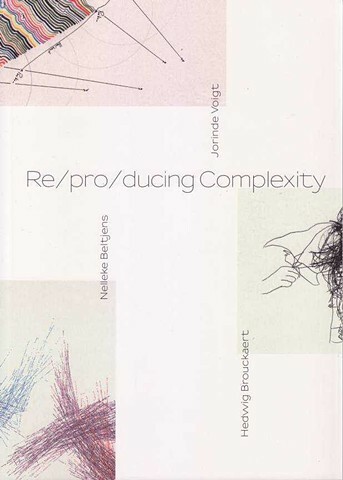 RE/PRO/DUCING COMPLEXITY presents drawings and drawing-related works by Nelleke Beltjens (°1974, the Netherlands), Hedwig Brouckaert (°1973, Belgium) and Jorinde Voigt (°1977, Germany). The project was presented in the Städtische Galerie VILLA ZANDERS Bergisch Gladbach in Germany from July 1 to September 16, 2012 and in the Museum DHONDT-DHAENENS in Deurle, Belgium from October 23, 2011 to January 8, 2012. Städtische Galerie Villa Zanders Bergisch Gladbach, Germany.